GEVREY-CHAMBERTIN – Rene Leclerc says he does not want to make technical wine. Instead, he wants to make wine from experience. Rene has been making wine under his own label since the mid 1970’s. Today, he is one of the best known and most highly respected craftsmen in Burgundy. He simply makes great wine year in and year out. Rene is slowly passing the reins of the domaine to his son, Francois, who was married to an American from Macon, Georgia. They have two beautiful children. Francois has trained in both France and America. He works closely with his dad because he wants to continue the successful winemaking style that Rene has perfected – both for the Rene Leclerc wines as well as for his own wines with the Francois Leclerc label. The Leclerc family uses the same traditional vinification techniques on all of their wines, including the basic Bourgogne Pinot Noir. They emphasize the fruit component of wine by pressing the grapes for only 3 hours, instead of the usual 10 hours. Thus, they get the best juice for their wines while avoiding the bitter tannins. By the way, their press is one of only 3 of its kind that are still in existence that aren’t in a museum. Rene and Francois use oak only to bring out the fruit flavors in the wines. And they use very few new oak barrels. Too much oak, Rene says, dries out a wine and makes it less pleasurable. For the Leclerc family, this is art, not simply a scientific recipe. In short, these are traditional wines of uncompromising quality. 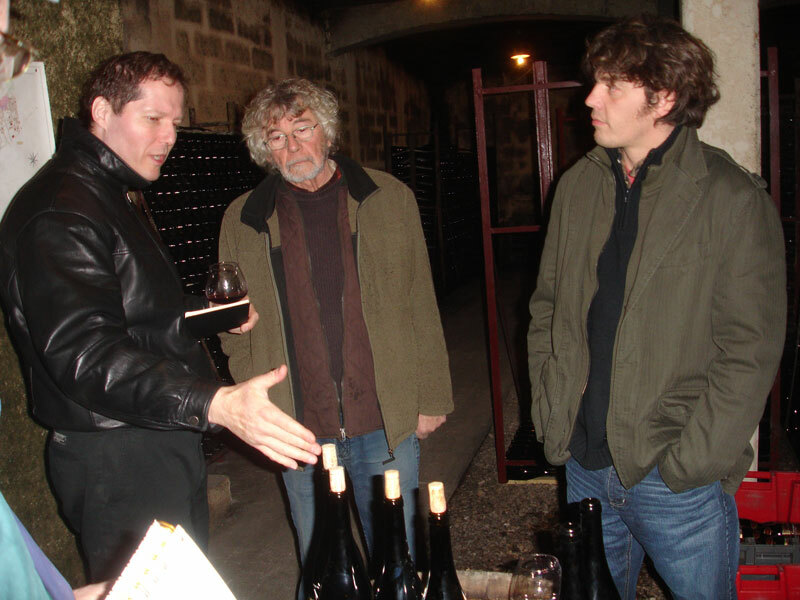 Like many of the 120 winemakers in Gevrey-Chambertin, Rene distributes his wines in America through an agent. Since I don’t work through agents, Rene allows me to bypass his agent and to import his wines directly into America. Thus, the typical agent’s profit margin is avoided. That means the consumer can buy these higher quality wines for less money. For the Francois Leclerc wines, me and a Japanese person are his only customers in the world. It is a true privilege to offer an extremely limited supply of these storied wines from Rene and Francois Leclerc. Please call us to learn more about our Leclerc, Rene Wines and their availability.